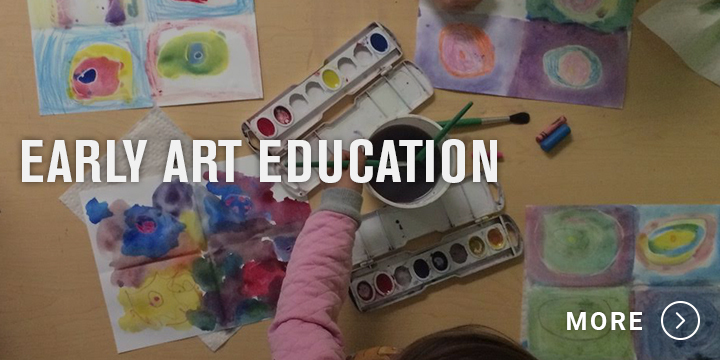 The Art Museum’s educational programs for youth are fun, creative ways for us to share our passion for the arts and education within our community. Our education staff is dedicated to discovering innovative ways to inspire young artists of all levels as they explore our exhibitions and create their own artwork in our bright, inviting art studio. Whether they enroll in an art class, visit with a school or an organization, attend a summer camp, enter our juried high school exhibition or visit with their family, kids and teens of all ages will find the Art Museum an inviting place to explore, learn and make art. These classes are a great way for parents and children to explore art, expand literacy skills and learn the basic elements of art together. We begin each program with reading a story that leads us to an exciting art adventure.Classes are limited to 10 students and fill up quickly. Pre-registration is required. Registration opens Tuesday, December 18, 2018. Call the Art Museum at 843.238.2510 or email Education Coordinator, Tracey Roode, for all registrations. March 7th | What Color Is Your Parakeet? April 4th | Snailed It! 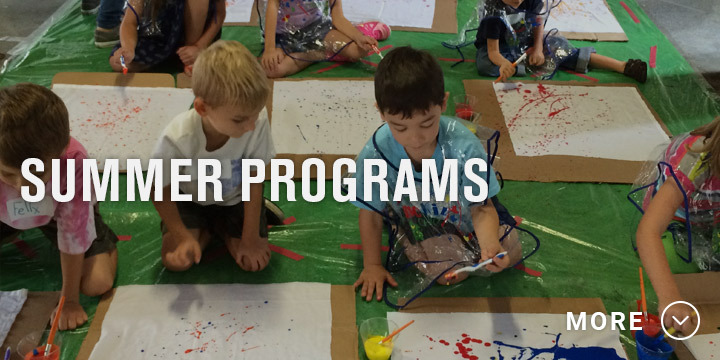 Our KidsArt programs are designed to provide young artists with the opportunity to explore the art in our galleries and create inspired art projects in the Studio. Students will use all five senses to create sensory paintings of wild places inspired by Elizabeth Bradford’s Time + Terrain. January 26th | I’m a Bird…I’m a Plane! After viewing aerial paintings in Light Shine Down, students will use shape, color and line to create abstract aerials. Students will draw connections between Time + Terrain and artist Henri Rousseau, and will paint jungle-themed self-portraits. Inspired by The Scape of Water, students will create water-reflection landscapes using a paper-folding technique. Students will design and build floating homes with imaginative amenities from recycled materials. Our summer camps will all be inspired by our summer exhibit Can’t You Sea? | Ocean Plastic ARTifacts. Stay connected for more details coming soon! If you wish to be on our mailing list to receive all summer camp information and for class registration, please contact Education Coordinator, Tracey Roode, at troode@myrtlebeachartmuseum.org. Classes are limited to 15 students per class. Classes fill up quickly. Pre-registration is required. Registration opens Tuesday, December 18, 2018. January 12th | That’s the Spirit! Students will gain a new perspective after touring Light Shine Down and will create abstract mixed-media aerials. Students will learn the basics of sustainable architecture and design green homes with eco-friendly amenities. Inspired by Time + Terrain, students will “paint” wild and vibrant visual stories using yarn. Students will learn about the different zones of the ocean and crate 3D art of the curious life found there. Students will create three-dimensional works resembling the organic shapes of different bodies of water. This is our CCU Inters’ opportunity to lead the class through a gallery tour and art project of their own design. Studentswill create works of art inspired by a piece in our Annual High School Exhibit. T.A.P. 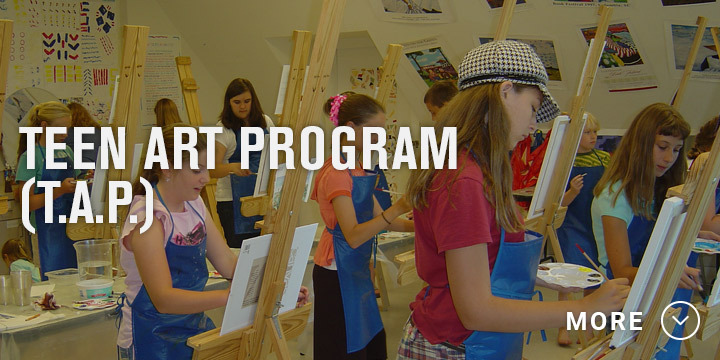 is designed to inspire teens to tap into their inner artists by discovering the art in our galleries, meeting artists, exploring new media in the studio and learning about some of art history’s most significant movements.Classes are limited to 15 students per class and fill up quickly. Pre-registration is required. Registration opens Tuesday, December 18, 2018. After touring Time + Terrain, students will learn about sustainable architecture and design green homes in harmony with nature. Students will learn the origin of street art and will “yarn bomb” a tree on the Museum’s property. Inspired by The Scape of Water and Light Shine Down, students will use apoxy resin and acrylic paint to create aerial waterscapes. Field trip registration is open. Please contact our Education Coordinator, Tracey Roode, for all registrations. HOURS: Tours are available by appointment Tuesday through Friday, 10 a.m. to 2:30 p.m.
CHAPERONES: One adult for every 10 students is required; three adults are required for 25 students. LUNCH FACILITIES: The Museum does not have a designated area for groups to eat lunch. If weather permits, our front lawn may be used for a picnic-style lunch. The Museum is also a short walk to the beach, another possible picnic site. Please make picnic arrangements with the Education Coordinator when scheduling your trip. To make the most out of your visit to the Art Museum, please read our Field Trip Procedures and the Pre and Post Field Trip Activities. This option allows groups to explore the Museum on their own. Groups visiting with 10 or more children must schedule a date and time with our Education Coordinator. Self-guided tours are limited to 15 children and must have two or three adults present. There is no charge for a self-guided tour. This option provides your group with a docent that will guide your learning experience with a gallery tour specifically designed for school-age groups. There is no charge for this hour-long tour, but a donation is suggested. These tours are available for grades K-12. Guided tours are limited to 25 students, and there must be three chaperones for 25 students or one chaperone for every 10 students. This option has the benefits of a guided tour plus a hands-on workshop in the Art Studio. This 1 ½-hour visit is limited to 25 students and has a materials fee of $3 per student. One chaperone for every ten students is required, three chaperones for 25 students. 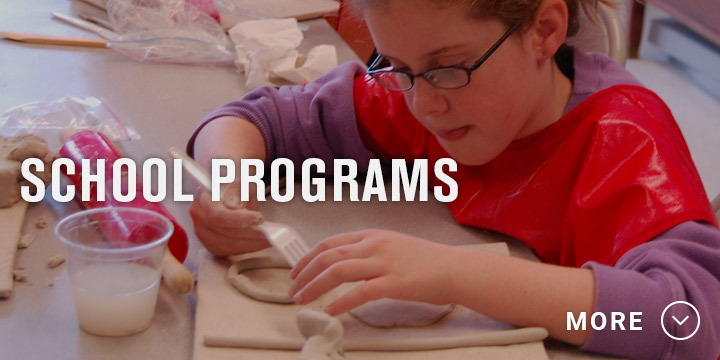 Our unique art education programs are designed for small homeschool co-op groups to develop critical thinking and observational skills through gallery tours and discussions while exploring a variety of art media in the art studio. Classes are arranged by ages 5-7 or 8-12 years old. Parents are not required to stay with their children participating in a class; however, those who wish to accompany their children must sign up in advance. Due to the available space in the galleries and art studio, programs are limited to 15 participants (including parents/ siblings). A member of your homeschool co-op can schedule guided tours of the Museum using the same process as school groups. A minimum of eight students is required. School buses must park in the Art Museum’s back parking lot. Plan to arrive at least 15 minutes prior to the time you scheduled your visit with our Education Coordinator. A member from our education staff will greet you outside in the back parking lot of the Art Museum. If there is not someone outside when you arrive, have an adult member of your group check in at the Museum Front Desk before you have the children get off of the bus. Bus parking is limited but a space in the back parking lot should be available for your group. Access for students with a disability is available. Please inquire prior to your visit to ensure accommodations are made. Student behavior, safety and security are the teacher’s or group leader’s responsibility. Groups must be supervised at all times. An art museum is a home for rare and priceless works of art, and our job is to provide visitors with the opportunity to see these works of art. In order to do so, we have to protect them so visitors can see them years from now. Please keep these helpful tips in mind during your trip to the Art Museum. PLEASE DO NOT TOUCH the artwork on display. By not touching the artwork, you help us protect these objects from the natural oils and dirt on our skin that can damage them and leave harmful prints. KEEP YOUR DISTANCE by staying at least an arm’s length away from the works of art. It may be helpful to fold your arms across your chest or put your hands in your pockets. NEVER RUN in the museum. Always walk. NO FOOD OR DRINKS are permitted in the galleries. BE RESPECTFUL OF OTHER MUSEUM VISITORS by talking in quiet tones and silencing your cell phones. ABSOLUTELY NO FLASH PHOTOGRAPHY IS ALLOWED in the Art Museum. The bright flash of light can fade the surface of the artwork. Non-flash photography for private use is permitted in designated areas. Please ask the Front Desk receptionist for the photography policies prior to your tour—photography policies vary with each exhibit. LEAVE THE BULKY STUFF BEHIND. To avoid accidentally bumping into a work of art, leave your backpack or large purse behind during a tour of the Art Museum. We recommend that teachers visit the Museum prior to their school field trip day. This will allow teachers to familiarize themselves with the Art Museum and the exhibitions on display. For more information on the exhibits that are on display, visit Exhibitions. Encourage your students to observe the things that surround them. Have them discover the lines, shapes and colors that they see around the classroom. Take a walk outside and look for interesting shapes in nature. This activity is about discovering art in places we tend to pass by. Show your students four or five different artworks of your choice. Ask them questions. What do you see? What is your favorite part? Does the artwork remind you of anything? As they are looking at the artwork, ask them to imagine the sounds they might hear or the smells they might experience if they were part of this artwork. After your visit to the Museum, discuss with your students what they learned and their opinions about the art. What pieces did they like or dislike and why? Our ArtTrunks are designed to provide educators with the resources needed to strengthen students’ appreciation of art, prepare them for a museum visit and tie visual arts into the teaching of various subject areas. ArtTrunks are available for loan to schools and community groups at no cost. The Art Museum has hosted this juried spring exhibition since 2000. Open to all high school students residing in Horry and Georgetown counties and enrolled in an art curriculum, this exhibition provides area students with an opportunity to submit their works to jurors who are professionals for possible exhibition at the Art Museum. 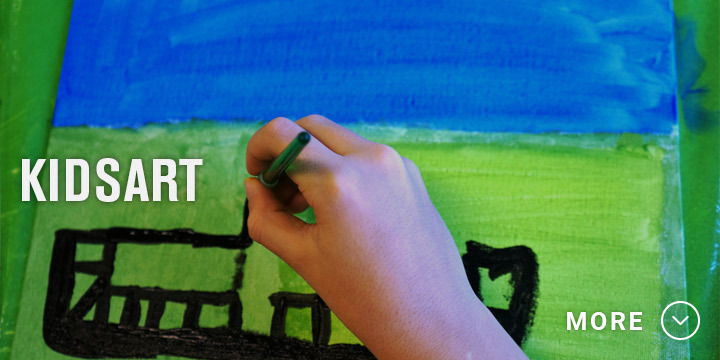 It also fosters several goals: to locally promote high-school student art; to build self esteem among area students; to demonstrate to students one way artists earn money through their art; to develop professionalism in student artists, and to promote the Art Museum within the schools and communities. Awards are given for outstanding work in various categories; the works are judged by a professional artist. Students can discuss with their high school art teachers how to take part in this event. The Early Art Education Program is made possible by the Frances P. Bunnelle Foundation, The Chapin Foundation and PNC, Grow Up Great.